Bart makes an important archaeological discovery when he finds a frozen caveman in Lake Springfield. And after a mail order mix-up, Homer’s Christmas gifts to the family get delivered to different residences throughout Springfield with surprising results. 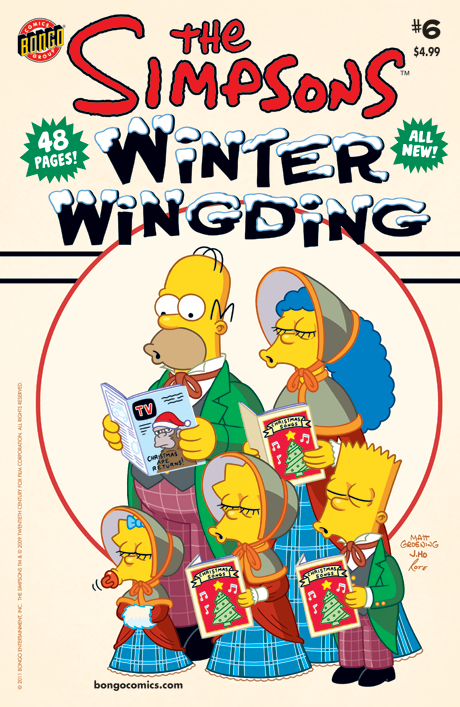 Then, Grampa Simpson explains the origins of eggnog, Christmas cards, and Santa’s milk and cookies. Next, Bart tries to make some holiday cash by shoveling snow outside of Moe’s Tavern. Finally, Homer has a billion dollar idea that will revolutionize wintertime play for kids, but will he be able to cash in?